The NST group at TU München, Germany, is looking for up to two postdoctoral researchers to join the group as soon as available. Research covers event-based vision and neurocomputing systems from biological modelling to engineering applications. Upcoming projects address engineering applications of neural computation; e.g. neuronal models for sensory perception, reasoning, and action generation in robotics. Preference will be given to (a) engineering applications of event-based vision and (b) investigations in spiking computing algorithms on neuromorphic hardware, such as SpiNNaker, TrueNorth, Spikey, etc. The successful postdoc is expected to initiate novel research projects (initial funding is available) and to supervise graduate and undergraduate students in his/her area of expertise. Strong programming skills are essential! Current funding is secured until September 2018 with possible extension. 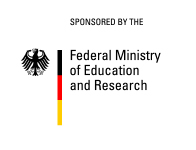 The positions include a reduced teaching obligation of ~2.5h per week in the recently established ENB Elite Master Program on NeuroEngineering (http://www.msne.ei.tum.de). To inquire please send brief email to office@nst.ei.tum.de. To apply, please send a concise (max 1/2 page) statement of your research interest and how you fit in our group, accompanied by your CV and names + email addresses of 2 references to office@nst.ei.tum.de. We are very much looking forward to extending our group!